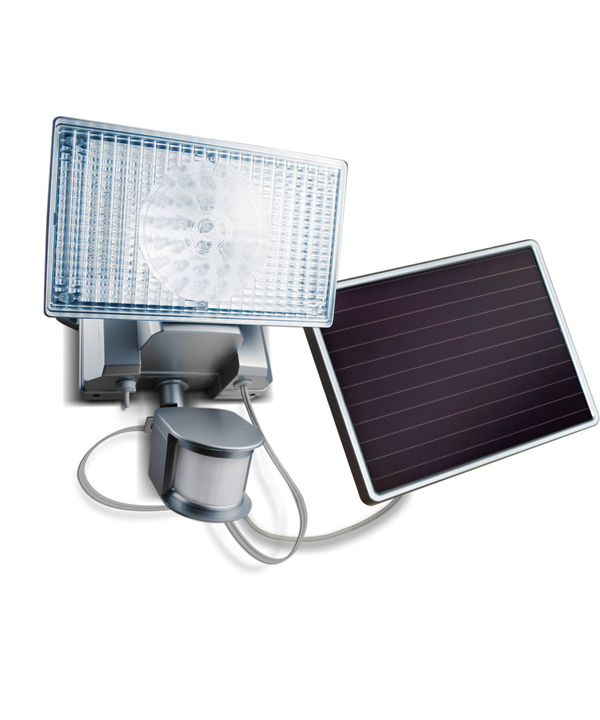 The 150 LED Solar Powered Security Flood Light is one of our brightest motion activated lights. It is recommended for large areas such as yards, driveways, pool and recreational areas and suitable for both residential and certain commercial applications. 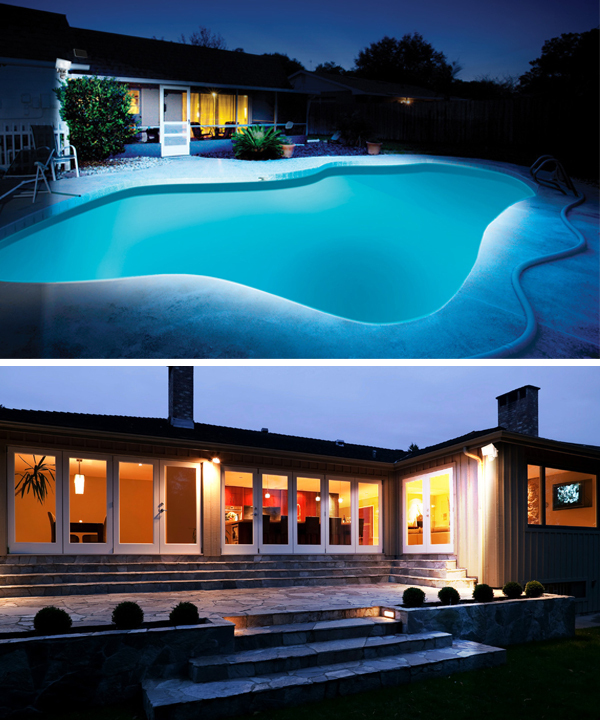 It automatically turns on when when the PIR detector senses motion after dusk, and provides 787.5 lumens of super-bright light. It is designed to provide illumination over large areas such as backyards, driveways, and is suitable for residential and certain commercial applications. By day, the solar panel converts sunlight into power stored in a rechargeable battery for use at night. A durable, weatherproof housing protects the solar panel and flood light in all weather conditions. This light is fully programmable to suit your needs, with easily adjustable knobs for Time, Motion Sensitivity and light levels (LUX). TIME: Set the duration of the illumination from ten seconds to one minute. When used at one-minute intervals, this light will activate 80 times, or 80 minutes of continuous light on a full solar charge (5 to 6 hours of direct sun). SENS: Since PIR light sensitivity can also be adjusted by simply turning the knobs, you can adjust it to higher levels during warm weather (since PIR sensors detect heat moving through the area rather than motion) and lower levels during cold temperature to conserve energy and extend the operation/run time. 15-foot cable that lets you set the panel where it will get the most sun, and the fixture where you need the light. Extra 15-foot cables are available as options. The solar panel can be positioned to receive the most sunlight whether mounted on rooftops or the sides of buildings. With an adjustable base, the panel can be installed on both flat and angled locations. Replaceable battery typically lasts 18 months to to 2.5 years. The exact duration will depend on geography (latitude) and climate (average daily sunshine, temperature). Rechargeable batteries generally last longest in areas with more average sunshine, southern states, and areas with warmer temperatures.